Astro PS4 wireless headset lets you hear every detail of the in-game audio. This Astro A50 headset is very light and easily adjustable. The Astro PS4 Wireless A50 Headset delivers brilliant acoustics in an ergonomic, comfortable, and exceptionally durable design. It adds more drama and intensity to the games with its crisp bass and stereo sound. Jump up and down, stay on the edge of the seat when faced with a challenge, and do a pirouette after a victory without the wires coming in your way. The heat-free design makes them a perfect companion for comfortable marathon gaming sessions. The Astro PS4 wireless headset makes your favorite action packed, adventurous games more immersive and exciting with its top-class acoustic performance. It works on a 5GHz wireless technology for stable, disturbance-free sound output at a high frequency. It adds a spectacular stereophonic sound and cinematic audio with Dolby 7.1 Surround Sound technology. The Astro A50 headset makes sure there’s never a point during your gameplay that you feel dizzy and hot around your head and ears. Its ear cushions are made using cloth and backed with synthetic leather for maximum wearing comfort and best acoustic performance. The band is constructed using sturdy and light materials that offer a perfect, contouring fit even for glass wearers. So you quit playing only when you want to. The Astro gaming headphones include a base station transmitter for hassle-free connectivity and charging. It has a display that indicates the charging status and total battery of the docked headset, so you always have a fully powered one for your next gaming session. The headset's Lithium-Ion battery, once fully charged, offers up to 15 hours of use. Change the audio of the headset to suit your preferences with the intuitive MixAmp technology. To control the settings beyond sound, you have the ASTRO Command Center software. You can also connect and chat with gamers using the 6.0mm, unidirectional noise canceling microphone. جدا رائعه في الجيمنج فقط الصوت عالي و واضح، لكن كمشاهدة الأفلام و المسلسلات في آلبي سي الصوت خافت و اداء ليس بعالي لكن جربت تشغيل الأغاني في الآي تونز فكان الصوت عالي و جيدجدا. 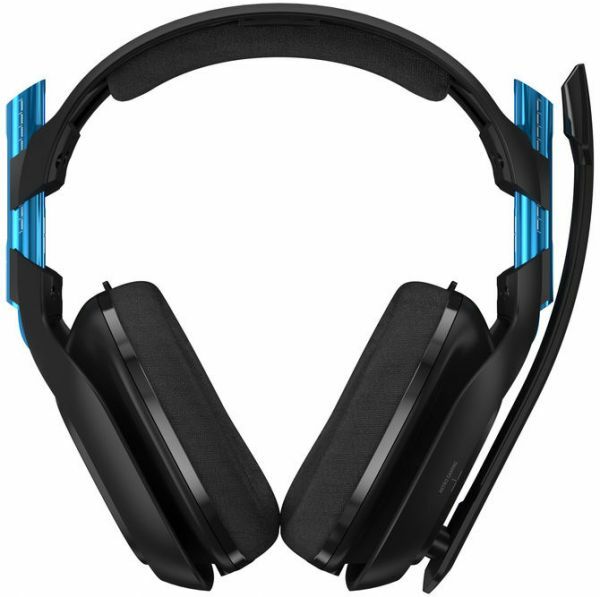 It's the best headset for PS4 shooting, you can hear footsteps clearer than other headsets. Don't 2nd question yourself. Pricy for purpose. This headphone is the best I’ve ever used and it’s worth every dhs period. Amazing headset. I recommend it. However, I found it cheaper on Black Friday a couple weeks after I order it.